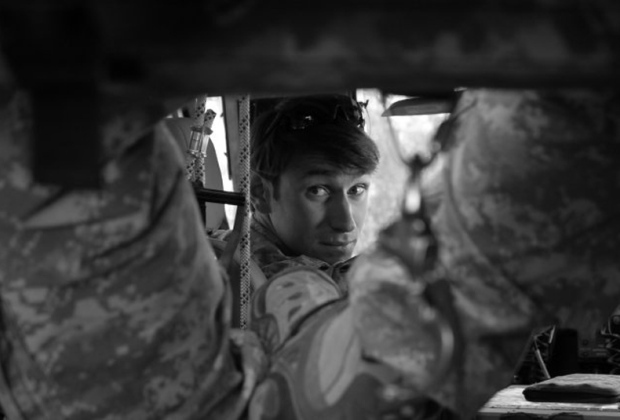 Captain Will Swenson, subject to the enormous events of the 2009 Battle of Ganjgal in Afghanistan, then the rigors of the after-action investigation about the refusal of higher command to grant him and his other troops the necessary artillery and air support during the battle, and then the as-yet unexplained mystery of why his recommendation for the award of the Medal of Honor was lost in a supposedly secure system, will finally receive that award in White House ceremonies on 15 October. The reclusive Swenson left the Army in February 2011 and has been residing in Washington state. He had turned down all requests for comment about the subject of the battle, the investigation, or the aftermath, but briefly broke his silence after being contacted by President Obama with the news that he would receive the Medal of Honor. "It's a monumental event for me, for my family, and for my teammates. ... This day also means a lot to those I served with." Swenson was an advisor to an Afghan National Police unit and accompanied them with the US Marine Embedded Training Team 2-8 and soldiers of the 10th Mountain Division on a movement to a meeting with elders at Ganjgal village, when the convoy was taken under fire in a three-sided ambush. Swenson was instrumental in rescuing those pinned down and wounded and recovering the bodies of the fallen, alongside others who received high recognition for their part in the battle, among them Marine Sgt Dakota Meyer, who also received the Medal of Honor for his actions that day. Swenson had received nothing, and Meyer's acerbic comments on that point revived interest in Swenson's case. 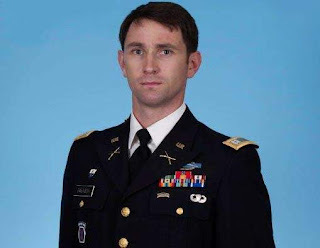 Swenson had provided damning testimony about the lack of support from a Tactical Operations Center as well as higher command about the Rules of Engagement that placed US troops in added jeopardy. It is thought that this was the reason that his earlier MoH recommendation was "lost" in a computerized system that was created to avoid just such a possibility. The question drew the attention of Marine General John Allen, who had another packet recreated for Swenson's recommendation, and Representative Duncan Hunter (R-California). Both instituted investigations about why Swenson was being so slighted. This marks the first time that a living officer is to receive the Medal of Honor in some forty years, and marks another occasion where two servicemembers are receive the Medal of Honor for the same battle. Within the past month, SSG Ty Carter received the MoH for his actions at the Battle of Kamdesh or COP Keating, after former SSG Clint Romesha received a MoH for the same battle that occurred a month after the actions at Ganjgal. Update: Captain Swenson has received the medal, and I have posted the citation. The press, though, is still trying to get in their licks.